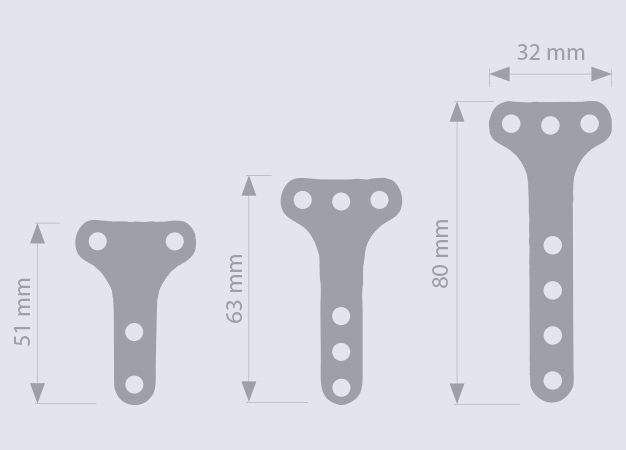 Optimized design shape to absorb the strengths. 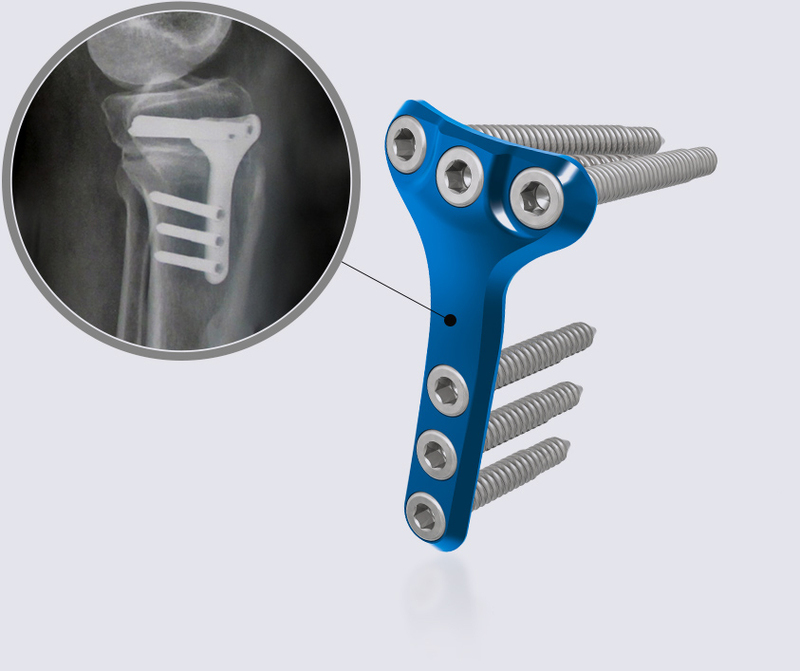 The new generation of implants developed by Neosteo allows an immediate weight bearing and a quick return of the mobility of the patient. This innovative approach offers a real alternative to a complete prosthesis. Thanks to this large pitch and to a wise choice of materials (the screw and plate are both made of TA6V) jamming risk is avoided. The conical threads are well adapted to offer an important gripping surface, allowing to lock the fixation by surface contact between the threads of the screw and the tapping of the plate.